Our new list of the top ten Koh Chang boutique resorts for 2017-18 with resorts on west coast and east coast. Snippet reviews, photo, chance to book. 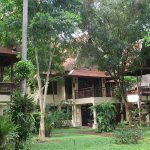 Our snippet guide to Chivapuri Beach Resort – Bang Bao Beach Klong Kloi, prices, information, pictures, our verdict, chance to book.